This handbook provides the basic information students need for a productive lab experience. The authors begin with a discussion of laboratory safety then move on to offer illustrations of each common piece of equipment with its name and a two-or three-word description of its function. The subsequent sections include clear and concise descriptions of elementary techniques using the basic equipment. Reference tables are included in the Appendices. Griswold, Norman E.; Neidig, H. A.; Spencer, James N; Stanitski, Conrad L.
2. 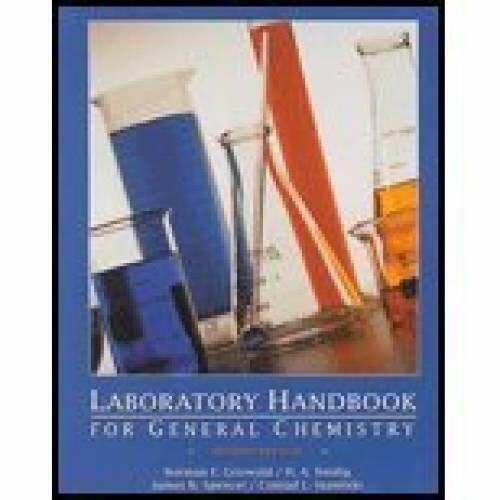 Laboratory Handbook for General Chemistry Griswold, Norman E.; Neidig, H. A.; Spencer, James N and Stanitski, Conrad L.